Giving thanks is something we know should happen daily. But there is something about the fall that seems to make everyone more grateful; the change in weather and time, the turning of the leaves on trees and the approaching holiday season makes many of us happier and very expressive with our thanks. Every day and night I give thanks for my life, the people and things God has blessed me with. I even thanks for all those things that are not a part of my life because God knows exactly what’s best for me even when I think I know it all! As I have said many times, Thanksgiving is my favorite holiday. 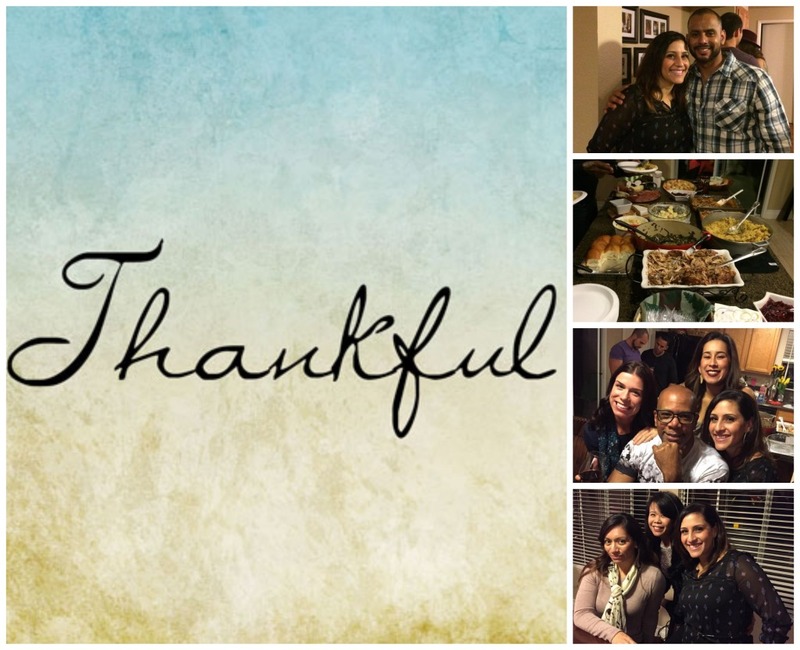 To start off my holiday season, my coworkers and friends, the Castillo’s, invited me over to a Pre-Thanksgiving dinner with some of their closest loved ones. This was my first Pre-Thanksgiving dinner, so I was super excited! I did not know what to expect but based on my relationship with the Castillo’s, I knew it would be an evening filled with good food, good people and good conversation. When I arrived to the Castillo’s, Francisco and the sound of kids running throughout the house greeted me. The Castillo’s had decorated the house so nicely and it was very festive for the start of the holiday season. Soon after my arrival, other guests started arriving bearing food and gifts topped off with warm smiles. From that point on I knew it was going to be a great evening. When it was time for dinner, Lisette asked us to join hands as she proceeded to open the evening with a beautiful prayer/blessing of the food. Her words were so eloquent and straight from the heart. It was a reminder that we should be thankful everyday and to think about those who for one reason or another are not able to share in a moment like this one. AMEN! It was time to eat and the food was delicious. There was the usual: turkey, cranberries, yams, greens, macaroni and cheese, potato salad, dinner rolls, pies and cakes. I was fortunate enough to have a traditional Puerto Rican rice dish, “arroz con gandules.” The food as so good I went back for seconds (and maybe thirds…)!! After eating several plates of everything, the evening was filled with great conversation and laughter. This Pre-Thanksgiving dinner was a great way to start my holiday and get me ready for my trip back home. Have a great Thanksgiving and cherish every moment you get to spend with loved ones. Hug them and tell them how much you love them because tomorrow is not promised to any of us!